Tim Burton will not be returning as director this time for the sequel to ‘Alice in Wonderland‘. Director James Bobin will take his place, which Bobin directed the recent ‘Muppets‘ reboot. Disney also announced a little while ago the 5th installment of ‘Pirates of the Caribbean‘, which will release in the summer of 2015 and will be directed by the ‘Kon-Tiki‘ directors Joachim Ronning and Espen Sandberg. Depp did a great job in ‘The Lone Ranger‘, but almost everything else in that movie failed. And I know the Pirates movies make tons of money, but those aren’t great either. Depp is such a great actor, and I wish he would say “yes” to better projects. 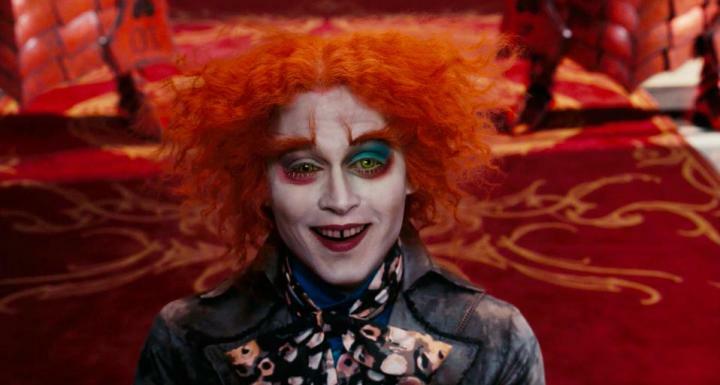 Disney Gives Us The Trailer For ‘Alice Through The Looking Glass’!!! This entry was posted on Wednesday, July 17th, 2013 at 10:23 am	and is filed under Film, News. You can follow any responses to this entry through the RSS 2.0 feed. You can skip to the end and leave a response. Pinging is currently not allowed. Agreed. His choice in movies lately is as bad as Liam Neeson’s. « Misty S. Delivers Her Thoughts On ‘Grown Ups 2’!!! What about you? What are you in here for? [shakes his head] Only guilty man in Shawshank.